The new Landings St. Lucia, a RockResort, is located on 19 acres and nearly 800 feet and nearly 800 feet of beachfront on Rodney Bay. The resort, which will be developed in four phases, will have 231 one-, two- and three-bedroom suites, ranging in size from 900 to 2,300 square feet; each suite has views of the beach, harbor, lagoon or channel; Phase one, which opened in December, includes 62 suites. The Landings has a spa, a private yacht harbor with 80 yacht moorings, helicopter access, a seaside Beach Club restaurant and bar on the pier, fitness club, swimming pools, hot tubs, tennis courts, water sports and beach services. Elements Hair, Skin & Body Spa, which opened its doors on the border between Carlsbad and Vista, Calif. in September of 2006, has recently expanded its location at 1116 Sycamore Avenue, with the addition of a third connected suite. Now able to offer a full menu of hair, skin and body treatments, the newly-expanded spa’s growth has been driven by the coming together of three local businesswomen: esthetician Lesley Dixon; hair stylist Jaime Berkes; and investor Gina Manis. At Elements, a wide selection of services is available to accommodate guests who wish to spoil themselves over a lunch hour or immerse themselves in a full day of pampering. Here, beauty goes hi-tech: from breakthrough thermal laser technology and microdermabrasion, to a hydrotherapy spa capsule that allows treatments to be steamed in, and a high-tech steam and soak therapy whirlpool, Elements has invested in sophisticated equipment that many five-star resorts don’t offer. The newly expanded spa location offers hair services ranging from Yuko® Japanese Straightening to Great Lengths® extensions, as well as an array of chemical and styling services complemented by a shampoo in one of the spa’s signature massaging shampoo bowls. 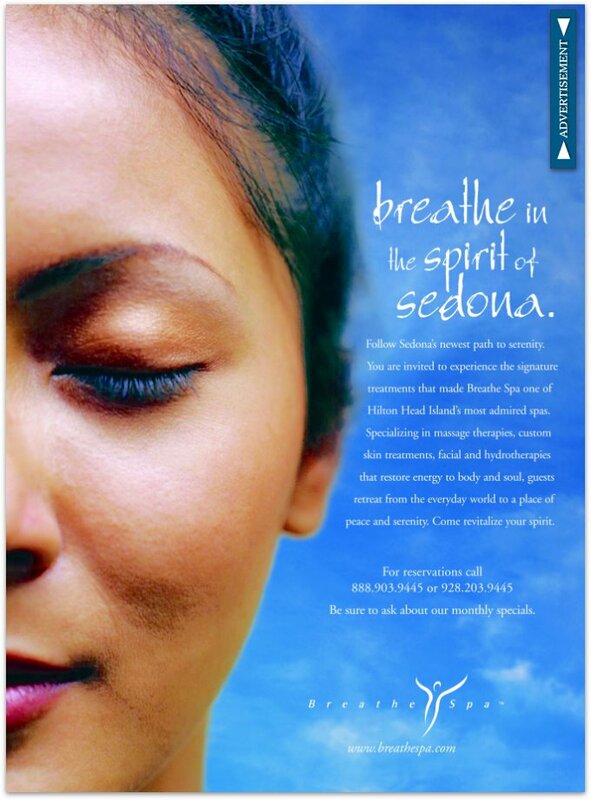 For more information, visit ElementsSalonandSpa.biz, or call 760-598-1233. A unique medical spa—Blue Amber Medical Spa & Wellness—has opened in West Bloomfield, Michigan. Blue Amber is one of the only medical spas in the Detroit area that has a doctor on site full time. Founder John P. Sosa, M.D. specializes in aesthetic medicine. Blue Amber also offers Active FX, a new laser skin resurfacing treatment which achieves effective results with minimal downtime. Blue Amber Medical Spa & Wellness focuses on comprehensive, noninvasive treatments to renew and revitalize the skin. Services include specialty spa facials, chemical peels, laser rejuvenation procedures, injectable fillers, vein treatments and hair removal. Embracing an innovative and integrative approach to healthcare, Next Step Institute of Integrative Medicine, Inc., headquartered in the resort destination of Vail, Colorado, has recently announced its 2008 series of Wellness Weeks scheduled now through December, 2008. Wellness Weeks are six-night, five-day programs that promote physical, mental, and emotional well being to individuals, families, and groups throughout The United States and Canada, addressing the needs of patients suffering from physical illness, chronic pain, and for those wanting to establish and maintain healthy lifestyles. The organization offers healing experiences led by a team of four clinical directors, including renowned physicians and therapists, and more than 15 holistic practitioners. The organization’s other locations include Palm Bay, Florida, and Ontario, Canada. Each program costs $8,900 per week, inclusive of accommodations at Two Thunderbirds Ranch. Each Wellness Week caters to no more than five or six patients with similar health challenges and goals. The program provides all patients with a review of medical records, more than ten hours of physician consultation, medical evaluations, a customized treatment plan, and follow up wellness plan. In addition to comprehensive sessions with medical doctors, patients are prescribed individual treatment plans that may integrate a spectrum of up to 25 holistic therapies. During the Wellness Week course, patients are transported via private car to their accommodation of choice and welcomed by Patient Services Coordinator, Robert Wagner. Each patient receives a welcome gift containing mountain-life essentials: lip balm, water bottle, sun block, a polar fleece, and a Next Step Institute yoga mat. Patients are encouraged to stay at Next Step Institute’s Two Thunderbirds Ranch in nearby Eagle, Colorado. e-mail bmcdonald@nextstepinstitute.org or visit www.nextstepinstitute.org. After three years of extensive renovations, LaSource, a luxury spa resort on Pink Gin Beach in Grenada, re-opened its doors on February 1st. Surrounded by 40 acres of tropical gardens, LaSource offers an all-inclusive holiday experience that combines an active beach holiday with a relaxed spa retreat. With the all-inclusive program, guests over the age of 16 receive a spa treatment each day of their stay and can be as active or laid-back as they choose in their free time. Renovations that took place over the past few years include the addition of Oscar’s Beach Bar & Restaurant, a new pool with enlarged Jacuzzi, expanded pool deck and boardwalk, new dive and water sports center, air-conditioned Garden Restaurant and a new Café Deli, complete with courtyard and fountains. The Oasis Spa has been transformed and features 17 treatment rooms, including three wet rooms--2 Vichy shower rooms and 1 hydro-tub--in addition to a new salon with manicure and pedicure chairs. Also added to the resort were an expansive Terrace Bar and Lounge, a new boutique and a tour office. The Alvear Palace Hotel recently announced the opening of the new 8,600-square-foot Alvear Spa & Fitness Center. The newly designed space offers guests a range of innovative treatments – many the first of their kind in Argentina. The ambience, using light and water as key elements, is designed to welcome the senses. Italian “Bizazza” marble tiles create focal points throughout, while the floors of Botticino, gold Calcutta and yellow Valence marble are striking underfoot. The reception area is crowned with a trompe l’oiel oil painting as well as classic and contemporary French-style furniture. Overall, the spa features five treatment rooms, a wellness area and fitness area. There is also a beauty salon offering hairstyling, manicure and pedicure services. Water is an integral part of the Alvear Spa’s design and concept. Along with steam baths and hydro-massage showers, the spa’s stainless steel Ludic “vitality” swimming pool percolates with ozonated bubbles which help detoxify the body and encourage relaxation. There are also two “water sensation” paths, each of different temperatures, intended for therapeutic stimulation as guests walk upon water-washed stones that increase leg circulation and positively affect the lymphatic system. The Alvear Spa’s treatment menu include facials, massages and body treatments, revitalizing, detoxifying and therapeutic programs, as well as an enticing selection of signature La Prairie spa treatments. The highlight is the Exclusive Radiant Treatment, developed by La Prairie exclusively for the Alvear Palace. The bi-level spa offers guests access to the Thomas Heinz hair and nail salon as well as to five treatments rooms, a relaxation room, a special couple’s suite and separate men’s and women’s changing rooms, each with their own steam room. The spa also has its own high-tech fitness center featuring high tech gym equipment from Technogym. Inspired by The Carlyle’s Art Deco roots, Zeff utilized a dramatic black and grey color scheme with contrasting white areas. In a design intended to be more like a residence than a typical spa, he used dark lacquered wood walls treatment rooms with Carrara marble counters and English chandeliers. Custom furniture, including an antiqued mirrored reception desk, from Zeff Designs fills the spa. In the relaxation room, there are velvet sofas and ottomans and damask drapery lit by traditional, polished nickel fixtures imported from England. New for 2008 is the 13,000 square foot spa at the Villagio Inn & Spa in Yountville, CA. The 112-room inn is built in the style of a Tuscan village and shares the 23-acre Vintage Estate with its sister hotel the Vintage Inn, a French country-style inn, and the Vintage 1870 collection of 26 upscale specialty shops and art galleries. “The new destination spa will be one of the largest in Napa Valley and offer a complete range of menu items from individual, half and full-day treatments that promote health and relaxation in one of the most tranquil settings in Northern California,” said David Shipman, Managing Director of Vintage Estate Hotels. Twelve new treatment rooms are located on two floors, including five luxury spa suites with sunken whirlpool bathtubs. Other spa amenities include flat screen televisions, private terraces and cozy fireplaces. Spa cuisine can even be served poolside. The new spa’s rich earth tone furnishings and a distressed wood beam ceiling create a warm and inviting setting for Villagio’s full menu of services, with several signature treatments that draw from Napa Valley’s wine. The Mineral Rich Clay Wrap adds crushed Napa grape seeds to imported French clay to make a vitamin and antioxidant –rich preparation to refresh and nourish the skin. Open daily from 7:30am until 8:00pm, the Villagio Spa has separate Men's and Women's changing rooms, but co-ed dry sauna and steam rooms, outdoor hot pools and 40-ft. lap pool. The Yountville Fitness Center, located adjacent to Villagio Inn & Spa, is available to hotel guests at no charge.